Provide the best service in order to achieve full customer satisfaction with our tours at prices accessible to all so that our visitors enjoy the most important wonders of our city and surroundings. 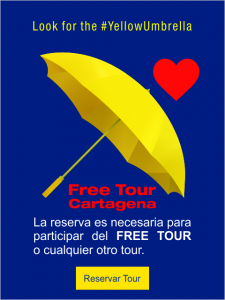 For the year 2020 FREE TOUR CARTAGENA will be the best tour operator agency of CARTAGENA providing a quality service as usual, in addition to having its own line of buses. Represent the hospitality of Cartagena, preserving and promoting our cultural, social and environmental values and creating unique experiences that motivate our guests to return. Consolidate ourselves in the region as the leading tourism company in quality service, creative, innovative, competitive and socially responsible. Exceed customer expectations in our travels. Promote the good image of our city and country. Contribute to the socio-economic progress of our region.